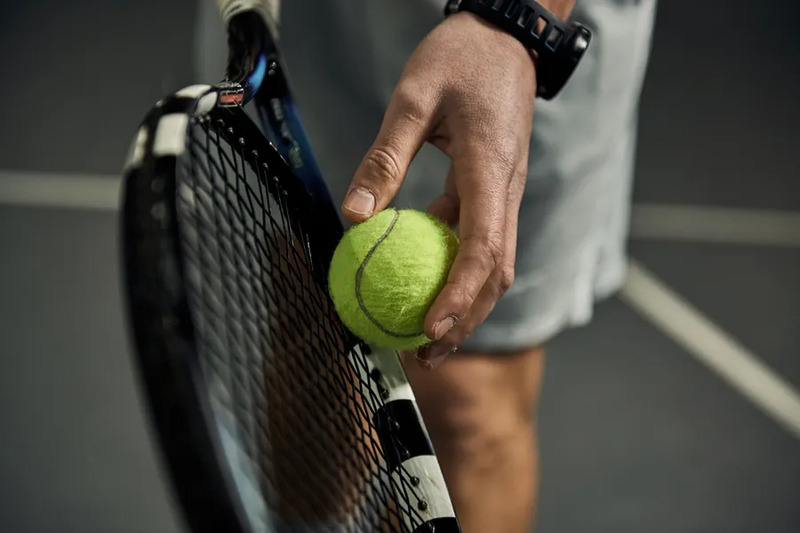 Lincoln, Neb., Apr 14, 2019 / 04:06 pm (CNA).- According to the Gospel of Matthew, “The Son of Man did not come to be served, but to serve.” This June, priests will gather in Lincoln, Neb., to “serve” their fellow brothers with their tennis skills. The International Tennis Championship for Priests will be held June 28-30, gathering clerics and seminarians for exercise, friendly competition, and fraternity. The event this year is organized by Father Brian Connor, pastor of North American Martyrs parish in Lincoln, and will include about 40 priests from around the world. “I’m happy to do this for the priests and for the sport, both of which I love very much,” Connor told CNA. “It’s a chance to compete, burn some calories, and enjoy friendship with other people,” he added. The tournament began in Poland in 2012 and occurred again in 2013 and 2018. Connor said the competitions in Poland included options for food and live music, for example an orchestra that played the anthems of the priests’ different nationalities. With a majority of priests coming from Poland and the Philippines, Connor expressed hope that the tournament’s placement in the United States would spark a greater interest in the participation from clerics in the Americas. The event has several competitions: open, +45, +55, and +65. The contest will also include doubles and a consolation tournament for the eliminated players. Seminarians, priests, deacons, and bishops are all welcome to participate. At the event, the contestants will attend daily Mass together at a variety of parishes. The priests will also explore some of eastern Nebraska’s tourist attractions, including the Holy Family Shrine, the Strategic Air Command Museum, Eugene T. Mahoney State Park, and the Henry Doorly Zoo. Connor has played tennis since he was young, and competed during high school. Since numerous priests have likewise played tennis throughout their childhood, he said the event is an opportunity for nostalgic fun, fitness, and fraternity. Plus, it allows priests to experience new cultures and countries, he said. “The goal of the tournament is to build a fraternity of the priesthood and to give a goal of practicing and proving yourself, which of course means health, conditioning, [and] your skills in the game,” he said. Fr. Matthew Eickhoff, pastor of St. Joseph Parish in Benkelman and St. Joseph Parish in Stratton, and Father Thomas MacLean, a chaplain for four state prisons in Nebraska, are two other priests from the Diocese of Lincoln who will once again try their hand at the tournament. Before Eickhoff joined the first competition, he began driving an hour from Omaha to participate in a weekly lesson for six months. In preparation of this upcoming contest, he has continued with a couple review lessons and occasionally plays with the priests from Lincoln. “The priesthood is the greatest fraternity on earth,” he said, noting that the event is an excellent opportunity to strengthen this community. He said the friendships develop quickly because of the solidarity of their vocation. “Generally, we priests enjoy recreating together because we have an appreciation for the challenges each of us face in our priestly ministry on a daily basis, so we know how valuable a break from the work really is and we appreciate being able to refresh our minds, bodies and souls together,” Eickhoff said. Although he does not get to play tennis as often as he would like, he said tennis and the tournament promotes a well-balanced life: recreational and spiritual. Similarly, MacLean said the event is an opportunity for fun, but he said it is also a “pretty serious” competition. Having already lost nine pounds from training, he said he is ready to return to the court to redeem himself from last year, when he lost during the first round. Besides the fierce competition, Maclean said he is looking forward to the spiritual companionship. He said the priests will enjoy more than just court rivalry, but times in Mass and prayer as well. He said the priests have a strong love for tennis but, primarily, the men share a deeper, sacred bond.